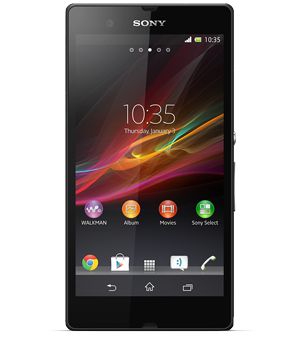 Is Sony preparing to launch their flagship Xperia Z as a “Nexus experience” device through Google Play along with HTC and Samsung? According to two reports this week, that is indeed the case. Both reports claim that it will arrive this summer, though one mentioned July as a possibility. Like the “Nexus experience” devices from Samsung and HTC, the Xperia Z will also be sold through Google Play, run stock Android, receive updates in a timely manner just like both of those devices, and will run on AT&T and T-Mobile networks here in the U.S.
For those who had forgotten about the Xperia Z, the device still sports high-end specs even though it has fallen off of U.S. radar thanks to a lack of a presence on any major carrier here. With its Snapdragon S4 Pro quad-core processor, Adreno 320 GPU, 2GB RAM, 5-inch 1080p display, 13MP camera, microSD slot for expandable storage, water-resistant body, and LTE capabilities, it’s no slouch. Also, keep in mind that the Xperia Z is the only device of the three “Nexus experience” phones that has on-screen navigation buttons, so it’ll give you the closest thing to a Nexus experience than any of them. We’re talking quick Google Now access with a swipe up from home, and the traditional Back, Home and Task Switcher navigation setup. This video demonstrates what the experience will potentially be like. No word yet on pricing, but since the phone is slightly older than the others, I would love to see it drop in under $500. I doubt that’ll happen though. 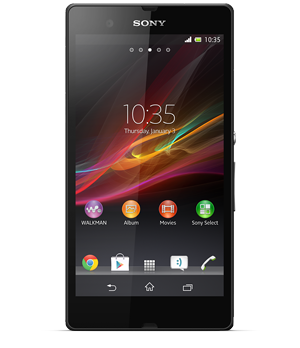 Anyone interested in the Xperia Z as a “Nexus experience” device?